Windswept leaves and colorful tropical flowers in full bloom... our Cozumel Lined Gigi Swag will transform any room into a restful tropical island getaway. A warm ivory background hosts tropical leaves and flowers in greens, yellows, and orange-red. 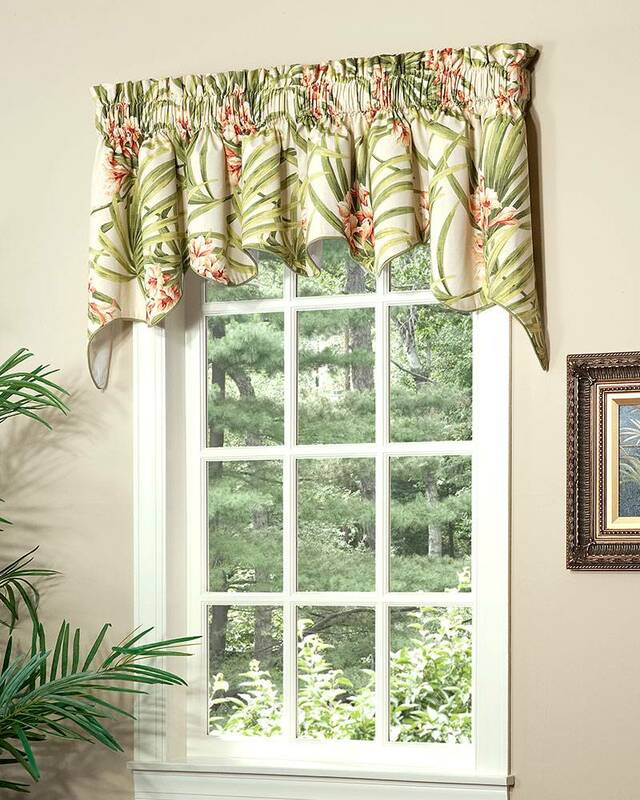 Printed on a cotton duck cloth, these versatile and stylish swags can be hung alone, as pictured above, or combined with Cozumel Lined Gigi Filler Valances to cover wider windows. (Insert filler valances between the right and left swag panels.) Fully lined. Handcrafted in the USA.